316 pages | 92 B/W Illus. Command and Control (C2) is the set of organizational and technical attributes and processes by which an enterprise marshals and employs human, physical, and information resources to solve problems and accomplish missions.C2 Re-envisioned: The Future of the Enterprise identifies four interrelated megatrends that are individually and collectively shaping the state of the art and practice of C2 as well as the mission challenges we face. Organizational alternatives—as decentralized, net-enabled approaches to C2 have been made more feasible by technology. The book analyzes historical examples and experimental evidence to determine the critical factors that make C2 go wrong and how to get it right. 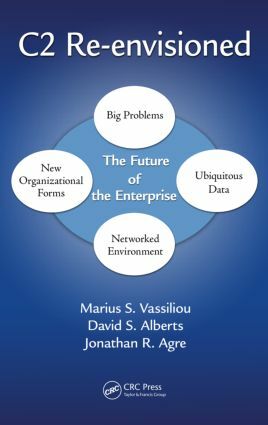 Successful enterprises in the future will be those that can reconfigure their approaches in an agile manner. Offering fresh perspectives on this subject of critical importance, this book provides the understanding you will need to choose your organizational approaches to suit the mission and the conditions at hand. Are Hierarchies and Bureaucracies Things of the Past?